Many authors have written about the climactic September 17 battle of the 1862 invasion of Maryland, but it is impossible to do so without referencing Carman's sweeping and definitive 1,800-page manuscript. This is the most comprehensive account of the battle ever produced. This long-awaited study will be appreciated as battle history at its finest. 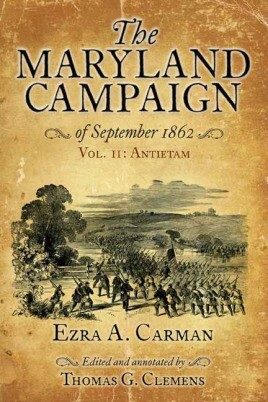 Antietam is the eagerly awaited second volume of Ezra Carman’s magisterial The Maryland Campaign of September 1862. Many authors have written about the climactic September 17 battle of the 1862 invasion of Maryland, but it is impossible to do so without referencing Carman’s sweeping and definitive maps and 1,800-page manuscript. His work guides every Civil War historian and comprises the basis of the National Park Service’s interpretive programs at Antietam. Indeed, even the basic layout of the National Park battlefield was based upon Carman’s groundbreaking work. Carman had the advantage of not only participating in the battle as a colonel in the Union army, but knowing, corresponding, and conversing with hundreds of Northern and Southern soldiers from corps commanders all the way down to privates. 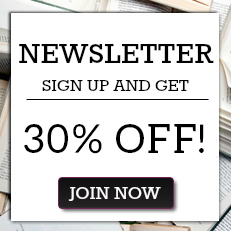 Over the decades he amassed a vast collection of letters, maps, and personal memoirs from many key participants. He used this treasure trove of firsthand accounts to create his compelling narrative. No one has devoted more time and effort to understanding what happened at Antietam than did Ezra Carman–the campaign’s first true historian. Unfortunately, Carman did not always note from where he obtained his information, making the authenticity and reliability of his work problematic. Editor Thomas G. Clemens, recognized internationally as one of the foremost historians of the Maryland Campaign, has spent more than two decades studying Antietam and editing and richly annotating Carman’s exhaustively written manuscript. As Clemens discovered, Carman used his sources judiciously, and the stories he relates withstand scrutiny for accuracy and reliability. Carman’s invaluable prose is augmented by his detailed maps of the dawn to nearly dusk fighting on September 17, which have never appeared in their original form in any book on the battle. Even more exciting are the newly discovered 19th century photographs authorized by Carman to document his work laying out the battlefield, a haunting visual record of how the battlefield appeared to Carman as he tried to unravel its mysteries. The result is The Maryland Campaign of September 1862: Antietam, the most comprehensive and detailed account of the battle ever produced. Jammed with firsthand accounts, personal anecdotes, detailed footnotes, maps, and photos, this long-awaited study will be read and appreciated as battle history at its finest. Indeed, we will never see such a study again. About the Authors: Ezra Ayres Carman was born in Oak Tree, New Jersey, on February 27, 1834, and educated at Western Military Academy in Kentucky. He fought with New Jersey organizations throughout the Civil War. He died in 1909 on Christmas day and was buried just below the Custis- Lee mansion in Arlington Cemetery. Thomas G. Clemens earned his doctoral degree at George Mason University, where he studied under Maryland Campaign historian Dr. Joseph L. Harsh. Tom has published a wide variety of magazine articles and book reviews, has appeared in several documentary programs, and is a licensed tour guide at Antietam National Battlefield. A retired professor from Hagerstown Community College, he also helped found and is the current president of Save Historic Antietam Foundation, Inc., a preservation group dedicated to saving historic properties.